Regular meditation can benefit you in several ways, and it goes beyond your physical wellbeing. Meditation can help you release stress and negativity from your life, and it can instill an enduring sense of acceptance and peace. Whether you’re new to meditation or you're a seasoned pro, adding crystals into your routine can take your results to the next level. Here are six tips to help you reap the benefits of these beautiful healing stones. You can use crystals for specific purposes. Smokey quartz, for example, can help balance sexual energies, while green tourmaline offers balance when dealing with emotional change. There’s more to choosing a crystal than its accepted use, though. It’s important that you use your intuition, too. 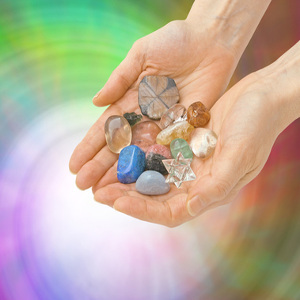 Try holding different crystals in the store to see which one speaks to you. You might also choose to ask a live psychic which crystals are a good fit for you. It’s important to cleanse your crystals before you start to use them or after you have used them for a while. Crystal cleansing methods typically include using a crystal singing bowl, soaking in salt water, and visualization, although Native Americans believe that you can naturally cleanse a crystal by rubbing it between the palms of your hands. It’s worth trying various methods to see which gives you the best results. When you have prepared your crystals, the next stage is to choose where you will meditate. You may already have a favorite spot, but if you are meditating for the first time, you’ll need to put some thought into it. Try to find a quiet, comfortable place where others will not disturb you while you are meditating. Some people like to lie down on their bed or sofa, while others prefer to sit on a straight-backed chair. When you are fully relaxed in your chosen place, hold your crystal in your left hand and notice its every detail. Admire the crystal’s color, shape, and texture, and thank it for coming into your life. From this point, you can go ahead and close your eyes and start to breathe deeply. Keep paying close attention to the crystal in your palm as you enter your meditative state. While you may not notice anything unusual at first, your goal is to feel the stone’s energy. This may occur in different ways. You may feel the crystal pulsating in your hand, see flashing images in your mind’s eye similar to the way a clairvoyant does, or suddenly gain clarity about a troubling issue in your life. This is the crystal doing its work. When you have finished your meditation session, always remember to thank your crystal. This applies whether you feel that you have gained insight during that particular meditation or not. You will then need to pay some attention to how you want to store your crystal. Some people advocate placing crystals inside a special box. Others prefer to have them on display or on their person. Experiment to see which approach works for you. Introducing crystals to your meditations can help you to take the practice far beyond what you may have believed possible. Why not try it today?